Come Fancy, or Dress Fancy with Nancy! 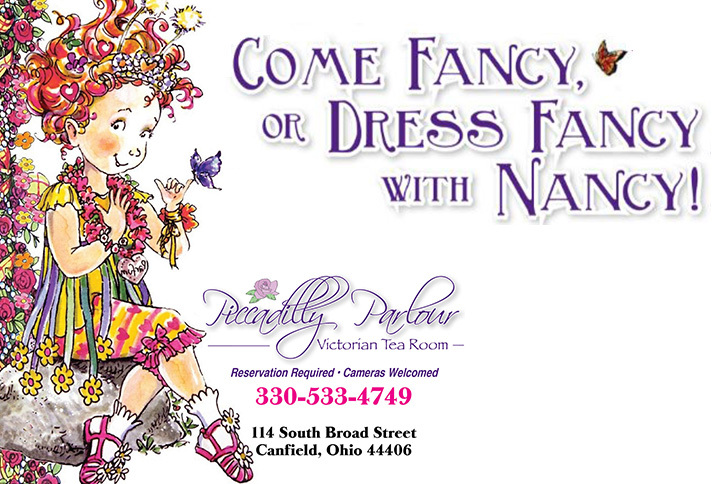 Come Fancy, or Dress Fancy with Nancy at Piccadilly Parlour! Includes bottomless beverage of choice, and parfait bar with all the delightful toppings of choice. $15 per person. Reservations are required by calling 330-533-4749.